Recently, Fido has been rather quiet and not making changes for the worse. However, that is about to change slightly. It looks like Rogers is pushing some of its negative influence on Fido, as effective December 1, 2010 Fido will be charging a $25.00 administration fee on all hardware upgrades. The Administration fee will be applicable starting Dec 1st on all postpaid handset upgrade (including no term renewal) & in all channels. Charge will be added in the back-end once a HUP is completed. 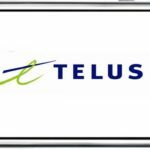 Many know that such a fee, $35.00, already exists with Rogers customer upgrades. Up until now, no such administration fee existed with Fido but that’s going to change. Apparently the Fido upgrade fee is going towards various areas such as processing orders, restocking and tracking inventory, and shipping and handling. Fido further indicates that the fee is â€œto provide a fair balance between hardware costs and customersâ€™ advantagesâ€. Take that as you will, but I find it ironic that an iPhone purchased from Apple directly has nothing to do with Fido’s “restocking and tracking inventory, and shipping and handling”. So Fido customers, on your next hardware upgrade, get ready to pay an extra $25.00. 1.) Why do you charge a $25 Administrative fee? When offering a phone with an agreement discount, we reduce the price of the device versus from the manufacturer’s cost through the agreement discount. Fido costs and value of the device are represented by price of phones without agreement (up to $600 for iPhones). 2.) Is this the return of hidden fees? No, this is a one time charge per order that will not impact your subsequent invoices. This fee is also communicated on Fido.ca andÂ in our advertisement. 3.) Aren’t you the company that cares? Yes, we care about our customers. However we must be able to cover the costs related to ordering equipment. Fido introduced this to help fulfill customers’ needsÂ be able to keep offering a wide range of hardware. 4.) Other providers don’t charge administrative fees for upgrade. We can’t comment on other companies’ business policies, as these changes often and we don’t want to give you wrong or outdated information. 5.) Bill 60 is supposed to protect me as customer. Is this compliant with Bill 60? Bill 60 is a regulation towards penalty fees for the province of Quebec only. This is an administrative fee. 6.) Why do I have to pay that fee since Fido will be able to repay the phone in a very short time with the MSFs you charge me? 7.) I am buying my phone full price; why is there an admin fee applicable? 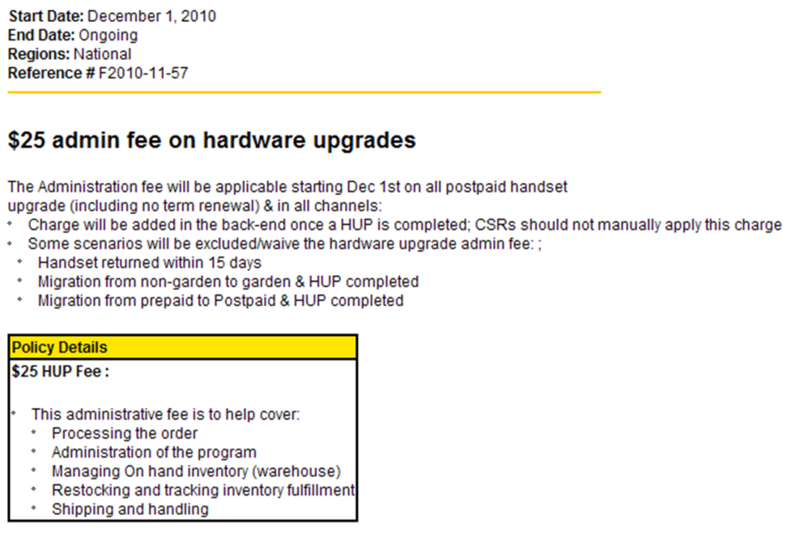 The hardware upgrade fee is to help cover the costs of processing the order, managing inventory and shipping and handling. These costs occur whether you are ordering a device with or without renewal & agreement discount. 8.) I don’t want a Smartphone: Why should I pay more because a lot of people want the latest and most expensive devices?